AsianNGO was initiated to provide the necessary instruments to any organization which wants to reach its sustainability goals. Based in Hong-Kong and with a great network of partners in Asia, AsianNGO has focused on providing capacity building tools to numerous organizations for more than 10 years. As media partner for Asia, they will provide media coverage of the Nudge Global Impact Challenge throughout the continent. B Lab is a nonprofit organization that serves a global movement of people using business as a force for good. Its vision is that one day all companies compete not only to be the best in the world, but the Best for the World and as a result society will enjoy a more shared and durable prosperity. B Lab therefore builds a global community of Certified B Corporations who meet the highest standards of verified, overall social and environmental performance, public transparency, and legal accountability. Shapers are highly motivated individuals who have a great potential for future leadership roles in society. Shapers are united by a common desire to channel the members’ tremendous energy and enthusiasm into building a more peaceful and inclusive world. The Global Shapers Community is one of several multi-stakeholder communities at the World Economic Forum. Other communities include the Young Global Leaders, the Global Agenda Councils, and the Schwab Foundation for Social Entrepreneurs. From a single brewery in Amsterdam 150 years ago, HEINEKEN has grown into the world’s most international brewer. HEINEKEN is a proud, independent global brewer committed to enthusing consumers everywhere. HEINEKEN aims to use their global business as a positive force for change. For example, one of their sustainability focus areas is reducing CO₂ emissions across the value chain (‘Drop the C’ programme), so their target is to grow their renewable energy usage to 70% by 2030. Nudge and HEINEKEN International will work together to further develop the Nudge Global Impact Challenge and the Nudge Global Impact Award. HEINEKEN International is also sponsoring 5 Wild Cards this year. IndiaConnected is the No.1 Dutch advisory firm exclusively focused on India. They advise and support companies on market entry strategy, fiscal strategy and growth financing. With their exclusive network in India, they provide valuable matchmaking services for their clients. They also support their clients who want to export Dutch technology to India. Their local team of associates throughout India is available for all kinds of practical support, ranging from market research and audits to legal affairs. LeaderScope is an international team of leadership trainers, coaches and facilitators for transformation. We will develop and facilitate the program during the Nudge Global Impact Challenge and guide the assessments to find the ‘Best Global Young Leaders in Sustainability 2017’. We will inspire participants with the latest and most impactful ideas on leadership in sustainability. We believe that the world of tomorrow needs next generation leaders with a courageous focus on sustainability. At LeaderScope, we are passionate about unleashing the talents of leaders. Let’s connect! As a full service online business partner we are passionate about all things digital. From our headquarters in the south of the Netherlands we work for a number of national and international organisations like Eukanuba, Miffy (nijntje) and Macintosh Retail Group. We develop a wide range of online marketing- and business solutions, ranging from online marketing campaigns, eCommerce platforms, social media strategies to tailor-made online collaboration tools. We help our clients to create game changing online strategies, come up with bright new ideas and deliver measurable results. 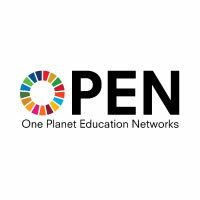 At OPEN (One Planet Education Networks) we aim to accelerate the mainstreaming of responsible business practices. In achieving our ambition, we collaborate with progressive business educators and practitioners to make responsibility and sustainability more relevant, accessible and affordable for all companies and organisations. Furthermore, as OPEN was launched in 2017 by WWF and its partners, we build on over a decade of investment in sustainable business education. This will propel us into the next chapter of scaling impact around the world. OPEN and Nudge team up to provide young professionals with relevant knowledge and insights to become future leaders in sustainability. Seedlink is a global leader in predictive language analytics. A person’s language is as unique as its fingerprint, and Seedlink is using this individuality to index human behavior. The technology helps companies to predict who fits a job best and who will be a future leader. Seedlink and Nudge are partnering to provide data driven insights for applicants. The execution of the participants’ impact plans will be measured and monitored using the criteria created by VU Amsterdam (Faculty of Earth and Life Sciences, Department of Environmental Policy Analysis). Based on these criteria three winners will be selected. The evaluation framework, created by the Environmental Policy Analysis department of the Institute of Environmental Studies of VU Amsterdam for the Nudge Global Impact Award, is a perfect example of how science can help to create a sustainable society. VU Amsterdam is an open organisation, strongly linked to people and society. In order to strengthen the connection between science and society, VU Amsterdam presents itself using 4 themes: connected world, governance for society, human health and life science, and science for sustainability, to encourage cooperation across the boundaries of academic disciplines.